Paulding County School District (Paulding) planned to improve its special education program, but had received feedback from staff regarding operational concerns, which Paulding needed to quantify and address before pursuing program improvement. Hanover designed, implemented, and analyzed a survey to 430 Paulding staff including teachers, administrators, and paraprofessionals to understand the strengths and areas for improvement of the special education program. 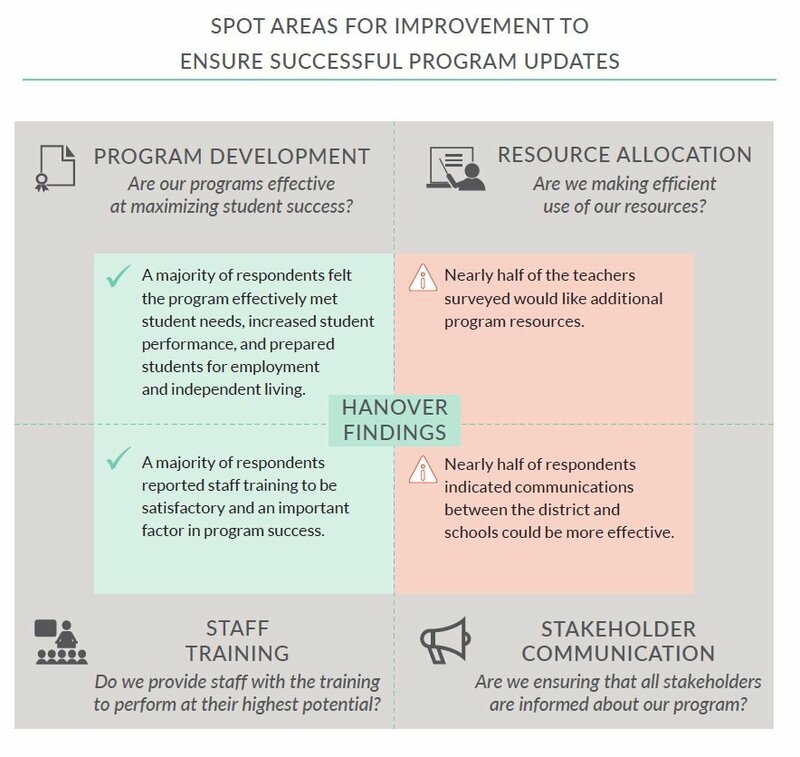 Hanover’s survey analysis disaggregated the key components of the special education program and identified two areas for improvement: resource allocation and stakeholder communication. Developed models to better project resource needs and improve allocation. Established a quarterly communication blast to provide regular district-school communication. The Hanover team provided a balanced view of staff opinion that helped identify potential areas of improvement in our special education program. Hanover’s administration and analysis was methodologically sound, allowing us to replicate the survey in the future and determine if the initiatives we implemented as a result of this survey have been effective.